The Lettercollum Cookbook Local Ingredients. World of Flavours. I like the freedom and flexibility afforded by Karen Austin, the author of the just published Lettercollum Cookbook. The book tends to the vegetarian but there is no preaching, no straight lines to follow. Quite the opposite. Plenty of flexibility and there is a chapter on chorizo, another on fish. 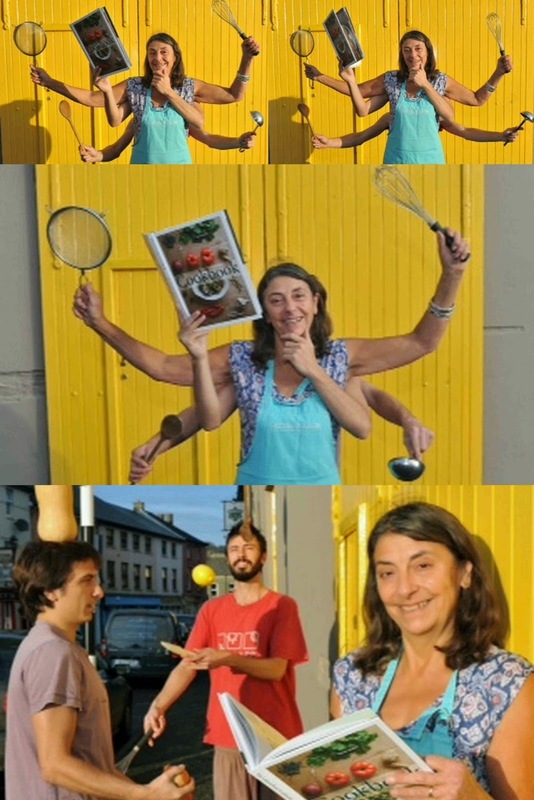 Karen and her husband Con have been operating in West Cork for the last thirty years and that remarkable story, progress from a crowded dilapidated old mansion to their own walled garden plus an ever so popular shop in Clonakilty, the Lettercollum Project, is told in a couple of pages early in the book. Not detailed in the book is the couple's input to a recent Cork/Beirut collaboration. Here, along with Sally Barnes of Woodcock Smokery, they took part in ‘Make Food Not War’. This included cooking with war widows in Tripoli, helping them create dishes that can be sold in the markets, a step towards freedom. The freedom in the book that I’m talking about is of a different kind. For instance, in talking about a vegetarian Leek, Sweet Potato and Spelt Soup, she says: “If you have a chicken carcass handy, throw it in”. In a Seafood Chowder: “if you don't like mussels, add more fish”. In a Potato and Chorizo Tart you are invited to try Puy Lentils instead of the potatoes. Her recipes are not straightjackets, though the likes of myself would probably do well to pay close attention to the basics! The book is well laid out, not cluttered, with some terrific photographs of the food (my favourite is not of food though but the spread with the bird nesting boxes). Some beautiful salads in the first section, many of them for the summer time. But some too for these short days, including a Red Cabbage, Celeriac, Apple and Hazelnut Salad. And you also have the Asian Slaw, “equally delicious summer and winter”. The New Potato and Smoked Mackerel Salad looks tempting. 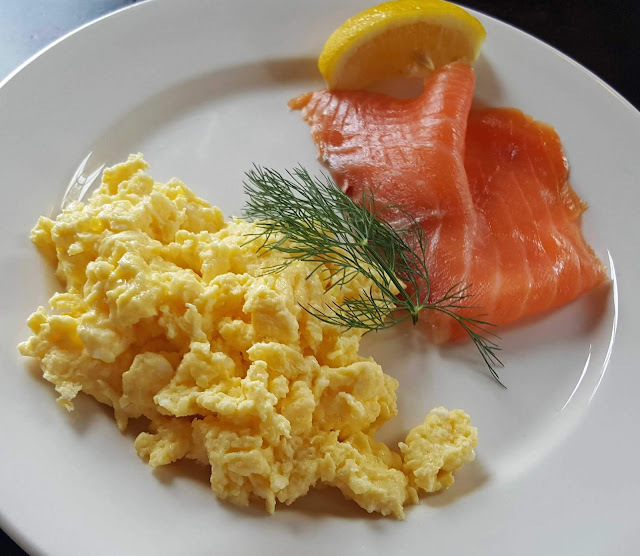 While it is perhaps, as indicated, one for sunny weather, methinks it would do just as well at this time of year, especially if using Fresh Hederman’s fish. Sometimes, when on holidays in France we buy fish at the market. We don't want to do much cooking, and it usually ends up with cherry tomatoes. And, in the fish section, Karen has a very “quick to make” recipe here: Grilled Cod with Roasted Cherry Tomatoes and Basil. Just the job, for Ireland or wherever. Think we’ll be trying that soon. Quite a few recipes for Chorizo and one that caught my eye was the Chorizo and Cabbage Paella. Lots of very good chorizo available locally nowadays. Karen must be delighted to see the increase in the variety of local produce over the past thirty years and her Linguine with Tomato and Mozzarella, in the vegetarian chapter, would no doubt see many of us using the super fresh Toonsbridge Mozzarella. Here too, the Pindi Channa looks amazing, Karen referring joyfully to the “fresh, sweet explosions of the jewelled pomegranate seeds”. There are recipes for a string of gorgeous savoury tarts and she details how you can make the Lettercollum savoury pastry (they have had many requests for it over the years). Of course, there is a Sweet Things corner. Recipes that got my attention here are her takes on Crême Brulée and also her Rhubarb Clafoutis. Recipes too for Summer Fruit Jam, Sweet Pastry, and Peach Bellini. Quite a lot in this book for all seasons. Reckon the one in this house will soon have many dog-eared pages. 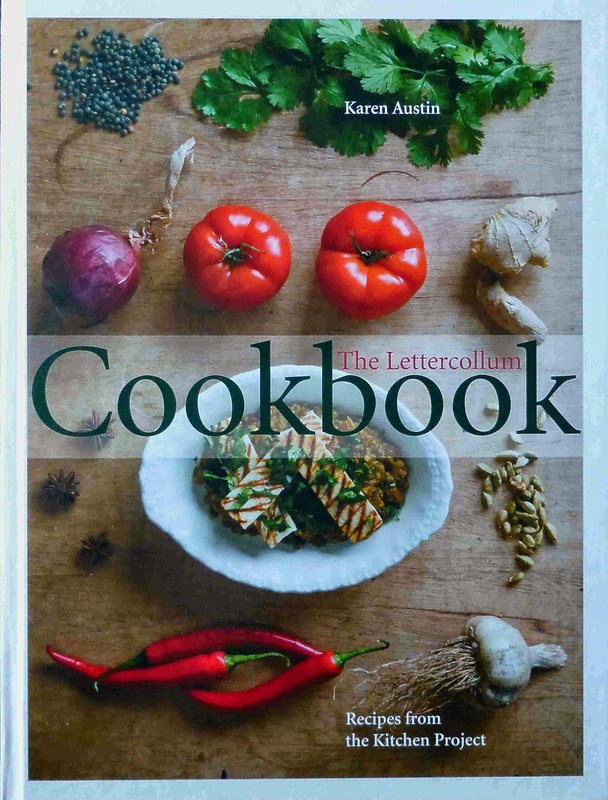 The Lettercollum Cookbook (€21.00) is available at bookshops nationwide and also in the UK. Great to see that the book is totally "home-grown". It is edited by Cork journalist Roz Crowley, published by Onstream and printed in Mayo by KPS Colour Print. Well done to all concerned.